This blog works pretty much like this (comments most wellcome, you can write to ernesto.lluch1974@gmail.com). By the way, what is an innovative and well approached business idea ? This blog is meant to help building business ideas between different people, always looking for important needs. To develop the Powerpoint I use text, handmade drawings (obtained from pictures with smartphone), pictures and music. I always use sources for which their creators allow the material to be used in the corresponding terms (see http://search.creativecommons.org/). It´s pretty simple, we live in the cloud era. This is merely several platforms that allow file storage in their servers, instead or addittionally to those in our computers. Some of them are Dropbox, Google Drive o Skydrive, although there are others. You can store, with no charge between 2 and 15 Gb de ficheros (note: with 10 Gb you can store pictures of many years). In plain terms, you can store a back-up copy of your key files, which is a very useful thing in case anything should happen. Once the file link has been included and configured as visible, it will be visible to everybody. How will your idea be protected then? I recommend you read the following section. Ideas are always from those who create them. 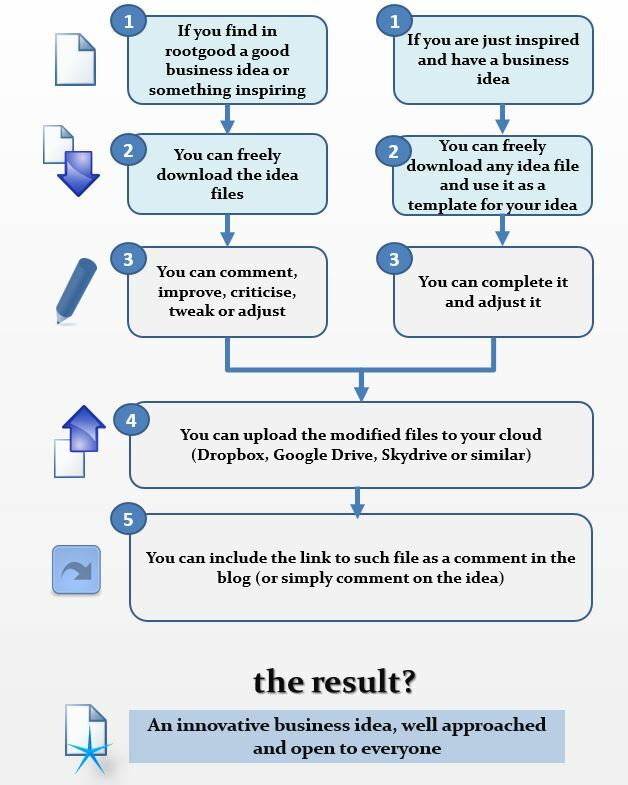 I invite you to identify which of Creative Commons (CC) licenses is best for your idea, so that you can specify how you allow others to work with it. 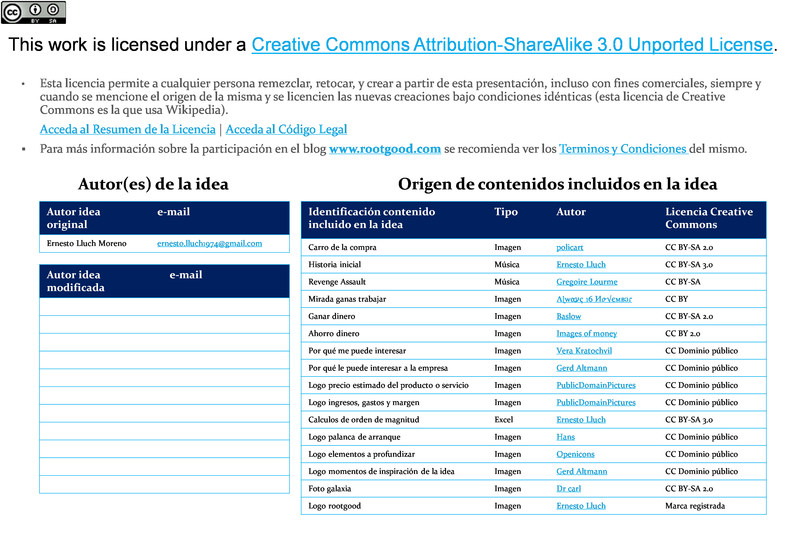 License “share alike”: I use it for those ideas for which I have used material from people who also used this license. I also use them for ideas I wish to distribute with my material and maintain the conditions. License “non commercial”: I use it when I intend to maintain my future capability of selling the ideas. The idea will be recognised as yours (BY). That being the case, you will allow others to modify such idea and even use it commercially (SA). That being the case, you will specify to others that your idea or original content can be shared but not used commercially (NC). By the way, in case you use Microsoft Office you can also install and use the free plug-in to later on include the “sticker” for the corresponding license in the Powerpoint and/or Excel you might be creating of modifying.